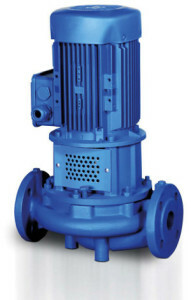 The DPNL In-line centrifugal pumps are designed for heating and air conditioning applications. The DPNL series provide easy installation, especially in buildings where limited space in length is available. For the different HVAC applications, various material options (cast iron, bronze and stainless steel) are available. The DPNL motors are suitable for variable speed operation.